June, 2013 – An estimated 70 million fathers live in the U.S. today, but if they plan on moving in with their children in the golden years, they better make some changes. Just in time for Father’s Day, a recent national poll reveals 70% of adult children do NOT want their parents moving in with them. Money won’t even motivate! 85% say even if they got more of the inheritance they would NOT be more inclined to move in their parents. However, if they had to choose, only 33% (1 out of 3) would choose to move in their dad over their mom. The majority would rather move in Mom! 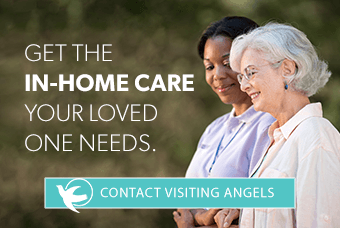 The national survey of more than 1,100 adults, ages 40 and older with both living parents, was commissioned by Visiting Angels, one of our nation’s largest in-home senior care companies with more than 450 offices throughout the country. WHY DOES DAD LOSE OUT TO MOM? WHO CHOSE DAD OVER MOM? Dads should stay on good terms with their first child. Of the one third of all respondents who chose to move in Dad over Mom, most of them are the oldest child. Still they don’t think they should have to bear the burden. Of all the folks polled, 32% say the child that lives the closest should bear the most responsibility for their aging parents. While 27% say the most responsibility for aging parents should fall to the child with the least obligations, (i.e., no spouse or children). When asked the plan for their aging parents – Almost ¾ of respondents (72%) say they DON’T have a plan. More than half (54%) say they haven’t even talked about it. 41% say they would prefer their parents remain in their own home with a caregiver, over moving them in to their home (31%) or moving them to an assisted living facility (17%) or nursing home (2%). More than half (58%) believe their aging parents would prefer to stay in their own home. Two-thirds (66%) of those polled say they cannot afford to move their parents in with them, yet more than half (51%) say they would move them in anyway. And more than ¾ of those polled (76%) say they would pay out of their own pocket if their parents needed care.